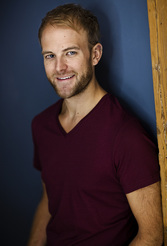 ​A graduate of the UTM/Sheridan Theatre and Drama Studies program, Nate is a busy member of the Toronto theatre community. 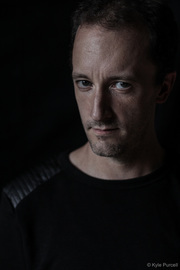 A certified fight director and stage combat instructor, Nate is a prominent member of the Canadian stage combat scene. At the 2015 My Entertainment World – My Theatre Awards, Nate was awarded the honorary performer award for his work as a fight director. Nate has worked as a fight director in numerous productions around Toronto and is currently the resident fight director for Hart House Theatre, where he has staged many fights including: Hamlet, Twelfth Night, Jesus Christ Superstar and Goodnight Desdemona (Good Morning Juliet). Some other favourite credits include: Hamlet (Shakespeare BASH’d), The Philanderess (Truth n’ Lies), As You Like It (Rarely Pure Theatre), Out With Dad – an award winning webseries (J. Leaver Presentations), Antony and Cleopatra (Theatre Elusive), Lord of the Flies and The Last Days of Judas Iscariot (Randolph Academy). Upcoming: Nate will be working alongside Richard Ozunion as fight director for Carrie: The Musical, at Hart House Theatre. Bailey is a bilingual actor and writer originally from Montreal now based in Toronto. She is thrilled to make her Toronto Fringe debut with the fine folks of Shakespeare BASH’d. Previous BASH’d roles include: Arthur in King John and the Earl of Kent in Edward II. Other theatre credits include: Oklahoma! (First Act Productions), The Importance of Being Earnest (Hart House Theatre) and The Tin Can People (Edinburgh Fringe). She is a graduate of University of Toronto and Sheridan College’s joint actor training program, Theatre and Drama Studies. To learn more follow her on Twitter (@_BaileyGreen) or visit www.baileygreen.ca. David most recently appeared in Conor McPherson’s Port Authority (Fly on the Wall) at the Campbell House Museum. His previous credits with Shakespeare BASH’d include The Merry Wives of Windsor, Macbeth, Love’s Labour’s Lost, Romeo and Juliet, The Taming of the Shrew, and Edward II (Staged Reading). Other credits include Arcadia (Citadel Theatre); Cold Comfort (Fly on the Wall Theatre); After the Fall (Equity Showcase), The Weir, The Good Thief (MacKenzieRo); Aftershock (SummerWorks); Rosencrantz and Guildenstern are Dead (Touchmark Theatre); Half Life (Rose Theatre); All’s Well that Ends Well, As You Like It, The Two Gentlemen of Verona (Shakespeare in the Square); Lucrece (Willow Cabin Theatre Company); Peter Pan (TheatreWorks/USA); Candida, Of Mice and Men (Kentucky Repertory Theatre); A Christmas Carol (Arts Trust). Film/TV credits include Heroes Reborn (NBC/Universal), Amelia (Fox Searchlight), The Rick Mercer Report (CBC) and The Divine Intrusion (CFC). David is a graduate of the 2015 Citadel/Banff Centre Professional Theatre Program, Circle in the Square Theatre School (NYC), and completed his Classical Theatre Training at London's Royal Academy of Dramatic Art. Suzette has been tearing up the Victory Cafe with Shakespeare BASH'd for 3 years now. You may have seen her last year as Mistress Ford in The Merry Wives Of Windsor, or in 2014 as Rosaline in Love's Labour's Lost (nominated for Best Ensemble at My Theatre Awards). Recent credits around Toronto include Blaire in We Three at the Tarragon Theatre and Josie in The Skriker for Red One Theatre Collective (Top Ten Theatre Productions of 2014 by the NOW Magazine). She has also appeared at Bernice in Bus Riley's Back in Town (The Remnants), Isabella in Norman Yeung's Theory, Miss Cornelia Scott in Something Unspoken (The Playwright Project) and Oppenheimer in Bloom (Steam Power Theatre). She directed and acted in We Think It Belongs in the Sea, the first part of a trio of short films entitled triptych triptych triptych which just premiered at Breakthroughs Film Festival in June. You can find her on twitter @suzettemccanny. Brenhan is a native of the Ottawa Valley thirteen years in Toronto. He graduated from Algonquin College in 2000 and co-founded the Red One Theatre Collective in 2008. The Comedy of Errors is his 2nd production with BASH'd, previously appearing in Much Ado About Nothing at the 2013 Fringe Festival. Recently he contributed to the composition of ROTC's The Forest at the Storefront Theatre and appeared in their production of Howard Barker's The Castle last December. He is currently creating a podcast for koffler.digital entitled History of Jerks. 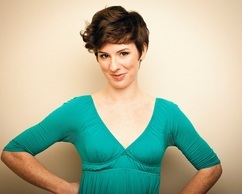 ​Megan is an actor and puppeteer - and now adding Associate Director to the list! She is co-founder of Shakey-Shake and Friends, a puppet Shakespeare company bringing laughs, mayhem, and the Bard to kids across Toronto. She is a graduate of George Brown Theatre School. She is incredibly excited to be back with Shakespeare Bash'd for her fifth show! Thanks to James and Julia for trusting her with this madcap undertaking and to Thomas for putting up with her. Upcoming: Judith in Ashes to Ashes in the Hamilton Fringe. Favourite credits include: The Clueless Dead (PlayersTO), Hamlet, The Merry Wives of Windsor (Shakespeare BASH'd), Hamlet... A Puppet Epic, A Midsummer Night's Dream ... A Puppet Epic (Shakey-Shake and Friends), Girl In The Goldfish Bowl (UCF), Happy End, Little Women, Orpheus Descending, Man of Mode, The Relapse, Waiting for the Parade (GBC Theatre). Julia is an actor and producer, as well as a co-founder and Artistic Producer of Shakespeare BASH'd, where she has produced all of the company's sold-out productions. She has worked as the Managing Director of Theatre Columbus and is now part of the team at The Theatre Centre. As an actor, Julia has performed the title roles in Daniel MacIvor’s See Bob Run (Theatre Caravel) and 2012 Best of Fringe winner The Taming of the Shrew and its 2015 remount (Shakespeare BASH’d). She also appeared in many critically acclaimed Shakespeare BASH'd productions, including The Merry Wives of Windsor, Macbeth, Romeo & Juliet, and Hamlet, and most recently in Red One's The Forest at The Storefront Theatre. She is a member of the Advisory Board for the Canadian Stage GYM program and a graduate of the joint acting program at UofT and Sheridan College. 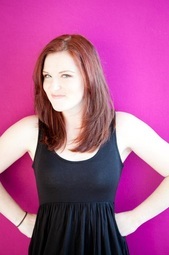 Kelly is very excited to be back on stage with Shakespeare BASH'd at the Toronto Fringe! Selected theatre: Romeo and Juliet, The Taming of the Shrew, Midsummer Night's Dream, Edward II (Shakespeare BASH'd); Romeo in R&J (Humber River); Laertes in Hamlet (St. Lawrence); Bianca (my fave) in SHREW (Red One); The Railway Children (Mirvish); The Doctor's Dilemma, An Ideal Husband (Shaw Fest). Selected TV: Designated Survivor, The Girlfriend Experience, Reign. Special thanks to Hayley Mills, David Swift, and Erich Kastner and everyone else! Tim grew up in the Toronto area as a first-generation Canadian of a South African emigrant family. Past credits for BASH'd include King Philip in King John and Edward II in the staged reading Edward II. He recently completed his Masters at the Royal Central School of Speech and Drama in the UK, and while overseas appeared as Vershinin in Three Sisters (CSSD), Sir Andrew in Twelfth Night (Rose Theatre), Bolingbroke in Richard II (Merely Players), and was part of The Bowl ensemble at the Young Vic. He also toured Austria with a production of Around the World in 80 Days for Vienna’s English Theatre. Favourite stage credits in Canada include Life is a Dream (Canadian Stage), When the Rain Stops Falling (Timms Centre), This is Where We Live (SummerWorks ’15), and Crookback – his five-star reviewed solo adaptation of Shakespeare’s Richard III. 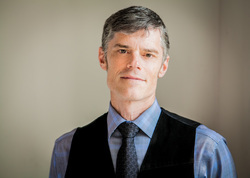 In addition to performing, Tim is an experienced workshop leader, teacher, and acting coach specializing in Shakespearean text, and theatre for youth. He is a graduate of Ryerson Theatre School. Visit him online at timwelham.com). A graduate of Wittenberg, Thomas is a seasoned classical actor and has several Shakespeare credits with BASH'd. Favourite roles include Old Fortinbras in Hamlet, Pompey in Julius Caesar, Macdonald in Macbeth, Rosalind in Romeo & Juliet, Sycorax in The Tempest, Master Quickly in Merry Wives of Windsor, Henry IV in Henry V, Henry V in Henry VI, Henry VI in Richard III, and the starring role in Love's Labour's Won. Thomas' physical theatre credits include The Bear in Winter's Tale, Crab in Two Gentlemen of Verona, The Handkerchief in Othello, and The Chink in the Wall in Midsummer Night's Dream. His hobbies include fencing, falconing, weaving, and lute (intermediate). He would like to thank Mary-Kate & Ashley, Patti & Selma, Luke & Leia, Phoebe & Ursula, and Cersei & Jamie. Upcoming: Second Senator in Cymbeline..
After finishing school, James jumped right into the big bad world of commercial work and film & television acting. He has been seen in a number of national commercials, including spots for Boston Pizza, Honda and Expedia. Also, he has appeared on The Jon Dore Show, XIII: The Series and in a number of feature films including: And Now A Word From Our Sponsors and The Movie Out Here. In 2010, James co-founded Shakespeare BASH’d with his wife, Julia, in order to take responsibility for their creativity by producing the plays of Shakespeare and his contemporaries in the city of Toronto. For the company, James has directed staged readings of Romeo and Juliet (2010), A Midsummer Night’s Dream (2011), and Edward II (2015), as well as the full productions of Romeo & Juliet, Love's Labour's Lost, Macbeth, and The Merry Wives of Windsor. He played Petruchio in the company's Best of Fringe winning production of The Taming of the Shrew in 2012 and the remount in 2015, and played Benedick in their sold-out production of Much Ado About Nothing in the 2013 Toronto Fringe. In addition, here are some of James’ selected theatre credits: A Midsummer Nights’ Dream, Shakespeare’s Magic and The Taming of the Shrew (Theatre by the Bay), Danny, King of the Basement (Roseneath Theatre, US Tour), Sleeping Beauty (Sudbury Theatre Centre), Paradise by the River (Shadowpath Theatre). James is currently participating in the Michael Langham Workshop for Classical Directing at the Stratford Festival, where he is assistant directing Macbeth and Bunny.